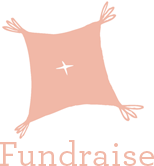 The Cancer Couch Foundation is a 501c3 non-profit corporation founded by Rebecca Timlin-Scalera, PhD, breast cancer survivor, Neuropsychologist and published author, in 2016 to raise money for research exclusively on metastatic breast cancer (when it spreads outside of the breast to other parts of the body). While there are more and more treatments becoming available for metastatic breast cancer, there is still no cure, and the average prognosis remains at 2-3 years. The Cancer Couch Foundation is on a mission to accelerate, and substatially improve treatment and outcomes for those currently living with metastatic breast cancer. We believe in precision medicine and patient-driven research. We carefully select the most promising, cutting-edge scientists in the field, at the world’s leading cancer centers such as Memorial Sloan Kettering Cancer Center and Dana Farber Cancer Institute. We want to move the needle quickly: The Cancer Couch Foundation is privately funded and volunteer-run. Therefore, 100% of donations and event proceeds go directly to the cause. Furthermore, every institution we fund commits to matching funds dollar for dollar donated through this foundation.